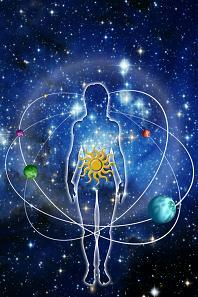 Have you ever wanted to learn astrology? Perhaps you already know some astrology but would like to become better at it, learn some techniques or interpretations that could really hit the mark with friends or clients? This course by Robert Lee Camp is the first in a year-long series that will be presented in a live, online interface and then will be available by video for future studies. You do not have to take series. This recording will be made available for $59.95. In this first class you will learn all that is necessary to read a chart. Not the interpretations, but how a chart is laid out, what the planetary symbols and astrological sign symbols mean, how to find the ascendant, midheaven, and how to determine the sign and house positions of the planets in the chart. You will also learn how to find out what aspects are there between planets and what orbs are and exactly what orbs to use for what planets. If you already know all of this you could choose to skip this class. Here is an outline of what will be covered. This class is the foundation that all the rest of your astrological knowledge will be based upon. You will be able to watch it again afterward as many times as you like. For those who want to watch the class, along with the all the charts discussed, sign up here. Everything you need will be emailed to you.